One of our supporters purchased this child-height bookshelf off the Amazon Wish List. We filled it with the books you all so generously donated with the intention of each child being able to "borrow" a book for the night. 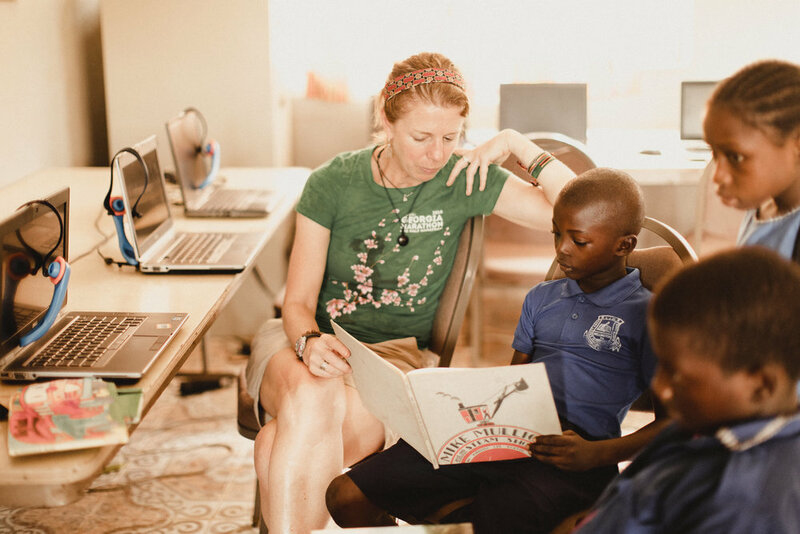 When we told the teachers of our idea, they were appalled, "Katie, this is AFRICA! You don't send a book home with the children. They will say the white person gave them a book and they will never bring it back! We will not have any books left if we do that!" Our team explained that by showing the children that we trusted them with the books it would help to gain trust in the classroom. 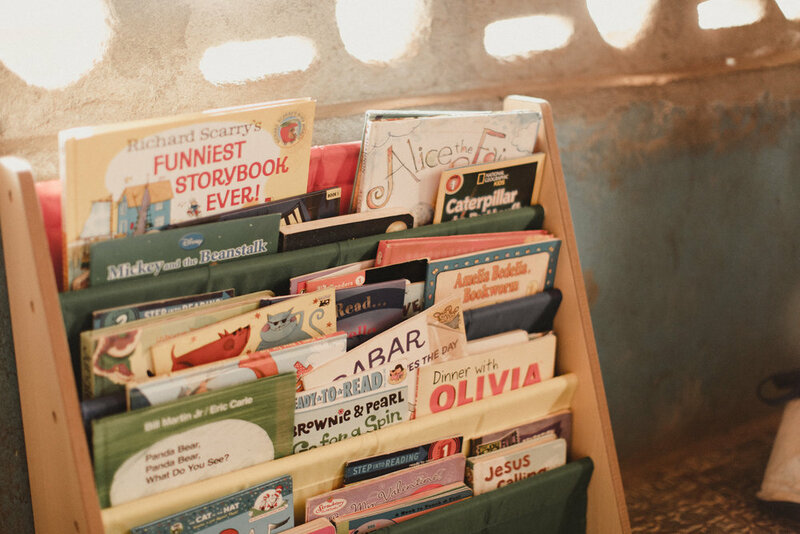 So when they handed them each a book, the teachers told each child how much they LOVED the book they were sending home with them and how they could not wait to exchange it for another book the next day. They told each of the 26 children how much they trusted them and knew they would take care of such prized possessions. Later that afternoon all around campus, you saw little children holding their new books, like they were the most precious items in the world. 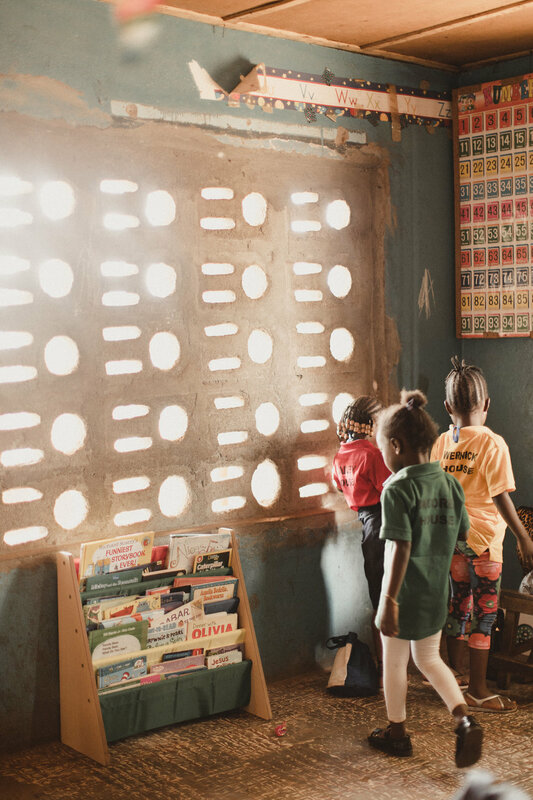 The next morning, we anxiously waited to see how many books returned to the classroom. Well, wouldn't you know, our kiddos came through! 26 out of 26 books were returned to the classroom bookshelf the next day. The teacher and I shared a few tears together, and celebrated the new Kindergarten classroom library. Since that day, every child in the class has taken a book for the night and returned it the next day. The coolest part of all is that the teachers feedback is that their relationship with the children has improved as a result!